I received gift cards from Smoothie King for free to provide an honest review. Thinking of smoothies, you think of fruit; banana, strawberry, blueberry, etc. So when I seen there was a new store in the area I had to give them a shot. Come to find out they’re not like everyone else’s smoothie. Oh no these smoothies are healthier than regular ones. Some have protein, some are made for weight loss, and some are dessert flavored. My husband and I made a date out of it. Which was kind of nice to go by ourselves and not have to worry about plugging in cords into the car because of course technology is glued to their hands 24/7. I tried the Slim Blends: Angel Food Smoothie which contains Strawberries, Bananas, Non-Fat Milk, Vanilla flavor with other natural flavors, Turbinado. I’m more plain and simple with it comes to my food and drink, so I went with the one that was simple. Nothing hard to pronounce or made me guess what it was, except for the Turbinado (pure cane sugar), which I had to ask about it. But that was it. I have to say this was a very good smoothie, I could taste the Strawberries and Bananas very well. Some of the other Slim Blend smoothies contain Stevia-based sweetener, Electrolyte Mix, Lean™ Protein, and Diet Down Enhancer in their ingredients. My husband tried the Fitness Blends: Peanut Power Plus Chocolate which contains Peanut Butter, Bananas, Non-Fat Milk, Turbinado, Cocoa, Protein Blend. I can tell they took their time crafting the recipe for this smoothie. Everything was blended together nicely. All the flavors were well-balanced. I could taste the chocolate, banana, and peanut butter equally. After a few minutes, I could feel an energy boost starting. Some of the other Fitness Blend smoothies contain Stevia-Based Sweetener, Multi-Vitamin, and Whey Protein Blend in their ingredients. Smoothie King also has kid smoothies which contain Multi-Vitamin Enhancer in their ingredients. 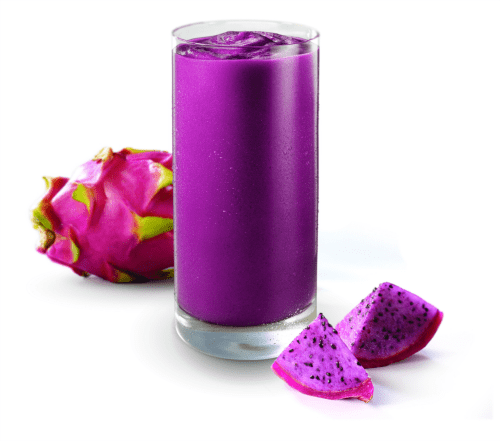 Smoothie King just announced three new Hydration Smoothies: Watermelon Hibiscus, Lemon Green Tea, and Dragon Fruit. The new Hydration Smoothies are featured in the “Fitness” blend category on the Smoothie King menu. They are made with real whole bananas, dragon fruit, and mangoes, matcha green tea, coconut water, up to 490mg of hydrating potassium per 20 oz. cup, and stevia plant-based sweetener. Visit www.SmoothieKing.com for nutritional information. “Pitaya” is another word for dragon fruit; these are organic and frozen dragon fruit cubes that can be found at Whole Foods. 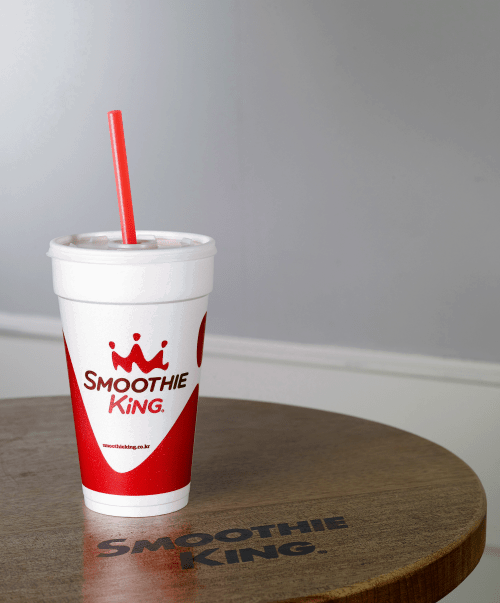 Smoothie King blends all of its smoothies with a specific purpose in mind. Whether your goal is to slim down, firm up, maintain wellness, replace a meal, or just take a break, they have a smoothie that can help fulfill everyone’s purpose as part of a sensible diet and regular exercise routine. Smoothie King Franchises, Inc. is a privately held, New Orleans-area-based franchise company with more than 890 units worldwide. 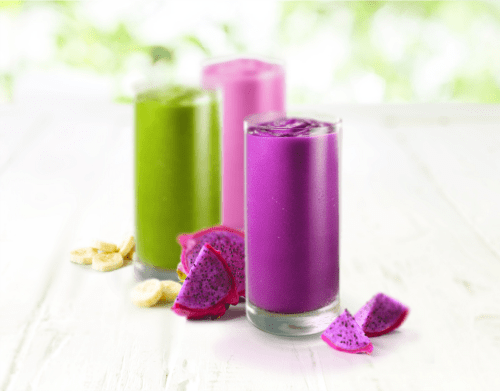 By creating each smoothie with a purpose, Smoothie King makes it simple and pleasurable for guests to achieve their individual health goals as part of a low-calorie diet and regular exercise routine. 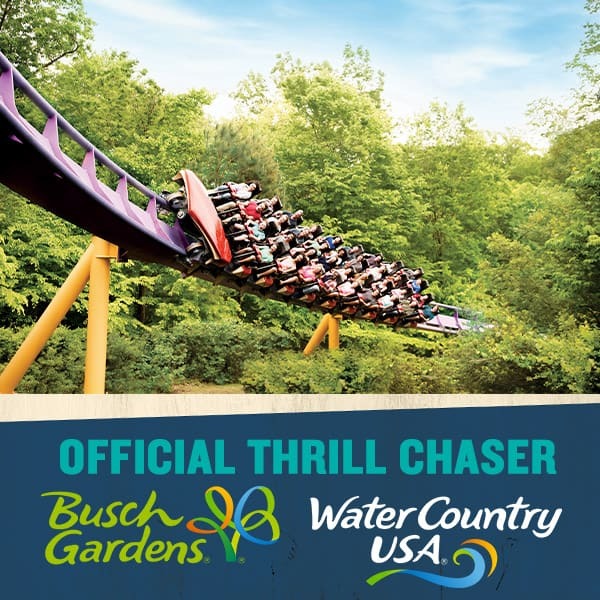 The franchise also offers a number of nutritious retail products, including sports beverages, energy bars, vitamins, supplements and more. Smoothie King was founded in 1973 by Steve Kuhnau, whose mission was to help others achieve better health in a tasty way. In 1989, Smoothie King became the first smoothie franchise in the U.S. and currently operates in 34 states, the Caymans, Trinidad and Tobago, the United Arab Emirates and the Republic of Korea. 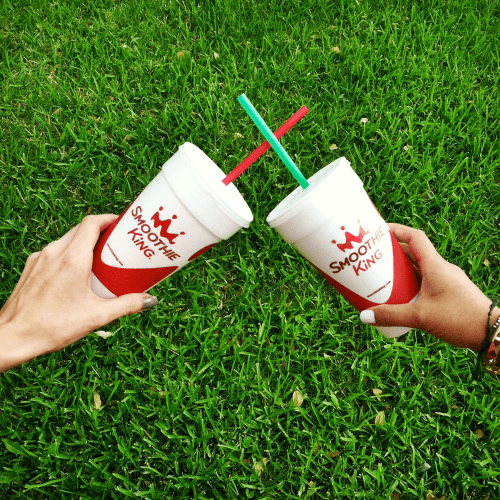 In 2017, Smoothie King was ranked No. 1 by Entrepreneur magazine in the juice bar category for the 24th year and No. 123 overall on the 2017 Franchise 500 list. In 2014, Smoothie King partnered with the New Orleans Pelicans of the National Basketball Association to launch the Smoothie King Center, a multi-purpose indoor arena in New Orleans, Louisiana.